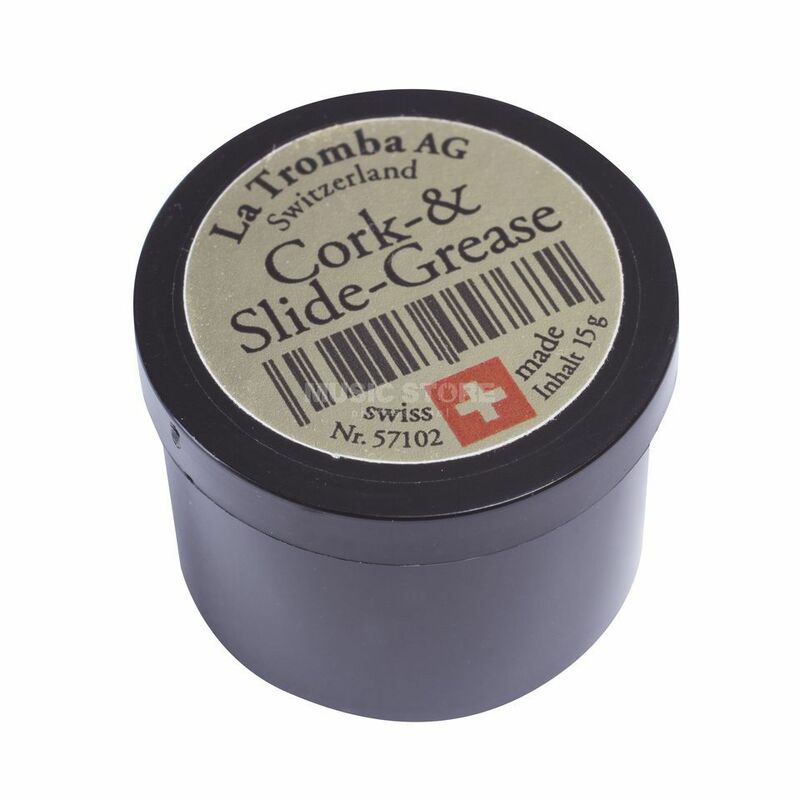 The La Tromba Cork and Slide Grease is 15g of high quality cork and slide grease for brass and woodwind instruments. The high-quality cork grease is used in recorders, clarinets, saxophones, the Saxonett or even with the tuning slides of brass instruments. It seals perfectly and protects the mortise and tenon joints.